You will find below the horoscope of Kacey Barnfield with her interactive chart, an excerpt of her astrological portrait and her planetary dominants. If you know the time of birth of Kacey Barnfield, we would appreciate it if you would send us your information with your source, at stars@astrotheme.com. To thank you for contributing to the enhancement of our astrological database, we shall be glad to send you the astrological portrait (34 pages) of this celebrity. Horoscopes having the same aspect Venus sextile Saturn (orb 1°34'): Steve Jobs, Grace Kelly, Sigmund Freud, Gwyneth Paltrow, Katie Holmes, Evelyne Dheliat, Yasmine Bleeth, Hilary Duff, Paul Newman, Ségolène Royal, Bertrand Cantat, Bruce Springsteen... Find all the celebrities having this aspect. Celebrities clicked on in real-time: 576,216,256 times. Kacey Louisa Barnfield (born 14 January 1988) is an English actress. Personal life She was born in Hackney, London. She is a second cousin of the actress Victoria Shalet. Kacey moved to Los Angeles in January 2011. Kacey's father Malcolm (a partner at Enfield estate agency Barnfield's) and Karen (née Clarke) (a former glamour model) divorced in 2010. She has a brother Kye and a sister Tyla. For a time, she dated England cricketer Stuart Broad. Acting career Kacey's acting career began in 1997 when she was just 9, appearing in advertisements and stage plays. Her first notable TV role was a guest role in the BBC drama Hope and Glory starring Lenny Henry. Here are some character traits from Kacey Barnfield's birth chart. This description is far from being comprehensive but it can shed light on his/her personality, which is still interesting for professional astrologers or astrology lovers. 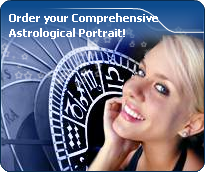 In a matter of minutes, you can get at your email address your astrological portrait (approximately 32 pages), a much more comprehensive report than this portrait of Kacey Barnfield. Warning: when the birth time is unknown, which is the case for Kacey Barnfield, a few paragraphs become irrelevant; distributions in hemispheres and quadrants are meaningless, so are dominant houses and houses' accentuations. Therefore, some chapters are removed from this part. Kacey Barnfield, Fire is dominant in your natal chart and endows you with intuition, energy, courage, self-confidence, and enthusiasm! You are inclined to be passionate, you assert your willpower, you move forward, and come hell or high water, you achieve your dreams and your goals. The relative weakness of this element is the difficulty to step back or a kind of boldness that may prompt you to do foolish things. The predominance of Water signs indicates high sensitivity and elevation through feelings, Kacey Barnfield. Your heart and your emotions are your driving forces, and you can't do anything on Earth if you don't feel a strong affective charge (as a matter of fact, the word "feeling" is essential in your psychology). You need to love in order to understand, and to feel in order to take action, to the detriment of a certain vulnerability against which you should learn to fight. After this paragraph about dominant planets, of Kacey Barnfield, here are the character traits that you must read more carefully than the previous texts since they are very specific: the texts about dominant planets only give background information about the personality and remain quite general: they emphasize or, on the contrary, mitigate different particularities or facets of a personality. A human being is a complex whole and only bodies of texts can attempt to successfully figure out all the finer points. You are a “free-thinker”, Kacey Barnfield, and you tackle problems with a swift and efficient mind. Freedom, progress and originality are your driving forces. You are resolutely future-oriented and with ingenuity and inventiveness, you reform what is outgrown and you constantly innovate: psychology, computer sciences, new technologies... have almost no secret for you. Your human and idealist qualities are obvious, you are a very pleasant and interesting interlocutor, even though your rebellious and revolutionary side may be criticized. Indeed, you seem to be driven by a strong argumentativeness: you seldom share your friends' views and, although you may come across as obstinate, intransigent and unpleasant, you do not hesitate to speak the truth! Instead of causing sudden break-ups with your friends, it is advisable that you express your creative potential more persistently whenever your nervous tension is too high. In love, you are more cerebral and friendly than really passionate, Kacey Barnfield. You are made for amorous friendships, for refined and light feelings where each partner retains one's freedom, and almost detachment, without getting really committed. Sometimes, you may be distant from, and indifferent to, love matters for a while, because you can be completely engrossed in original intellectual pursuits and the collective atmosphere which you are so fond of. You substitute a great number of friendly and light contacts to amorous relationships and it is fair to say that they satisfy you. To fall in love, you need spice and a partner who is original, who amazes you and whom you admire; under such conditions, you can freely express your feelings in an ambiance devoid of constraint, where freedom is perfectly respected and shared within the couple. Kacey Barnfield, you are a real Goliath and you often excel in sport; your thirst for conquests prompts you to constantly launch new challenges. The enthusiasm you put in your undertakings is perfectly well supported by your moral concepts and an idealism compatible with the values of the society you live in. You are pragmatic, enterprising and sometimes, naive. You do not pay attention to details and you launch various great adventurous projects that are all doomed to success. In a few rare cases, you can funnel your huge energy into more philosophical, even spiritual or religious enterprises, where your entire fieriness works wonders. On the sexual plane, your ardour and your spontaneity are your main assets. The danger is that you may spread yourself too thin in the sense that you may forget about faithfulness, particularly during the extensive faraway travels you are so fond of. This text is only an excerpt from of Kacey Barnfield's portrait. We hope that it will arouse your curiosity, and that it will prompt you to deepen your knowledge of astrology, as well as to visit and use the wide range of free applications at www.astrotheme.com. Your Life Path is influenced by the number 5, Kacey, which indicates changing and off the beaten track destinies. Your activities are varied and placed under the sign of adaptability, and multiplication of resources. More than anyone else, you need to enhance your learning capacities and the broad-mindedness. You must cope as well as you can with changes and transformation occurring in your life. Indeed, Life Path 5 brings about destinies which are prone to twists and turns, as well as to upheavals. Therefore, your life's main orientation may vary considerably at certain stages, and if your destiny is that of adventurers whose course is fraught with obstacles, it may also turn you into an exceedingly unstable person through lack of nuance. You accumulate experiences and enrich your know-how with each crucial period. Your adaptation skills enable you to go through all the successive stages of your life without ever being destabilised by new situations.